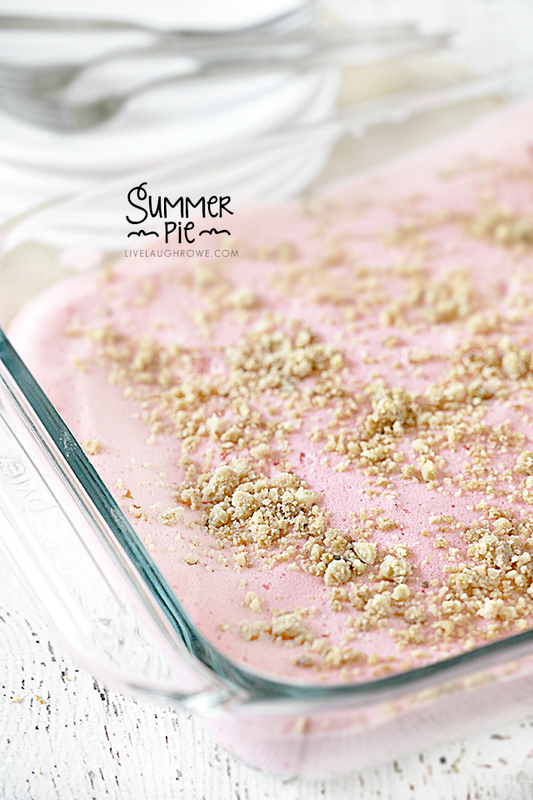 Summer Pie -- a family fave for over 30 years! 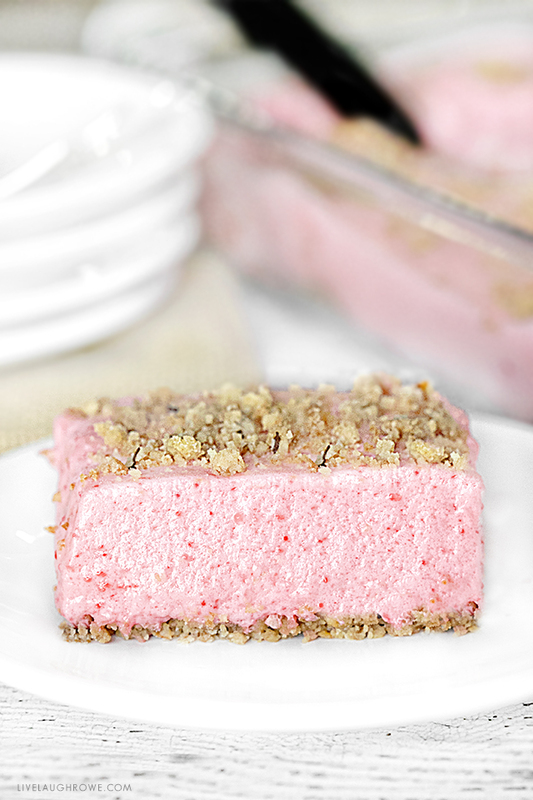 Jello based dessert with crumb crust. 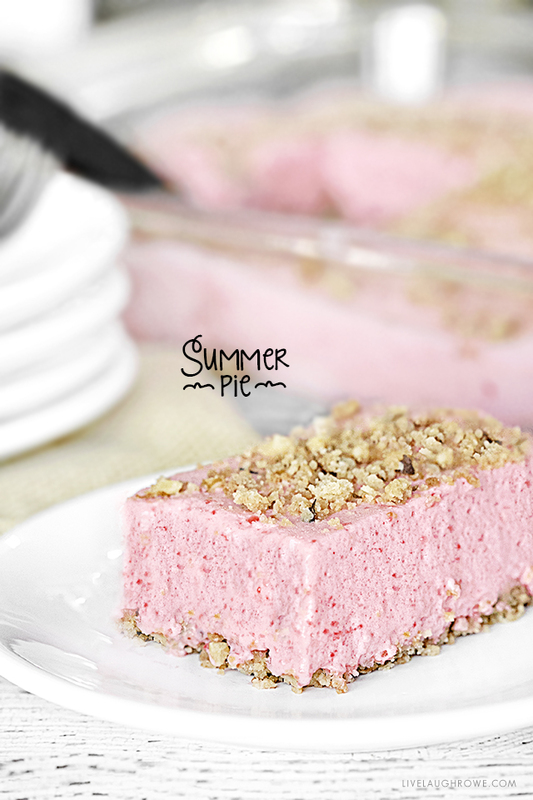 Summer Pie Recipe. 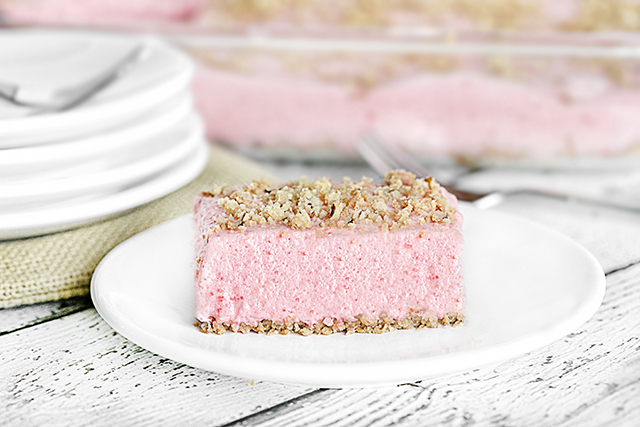 Sweet and Crunchy Dessert! 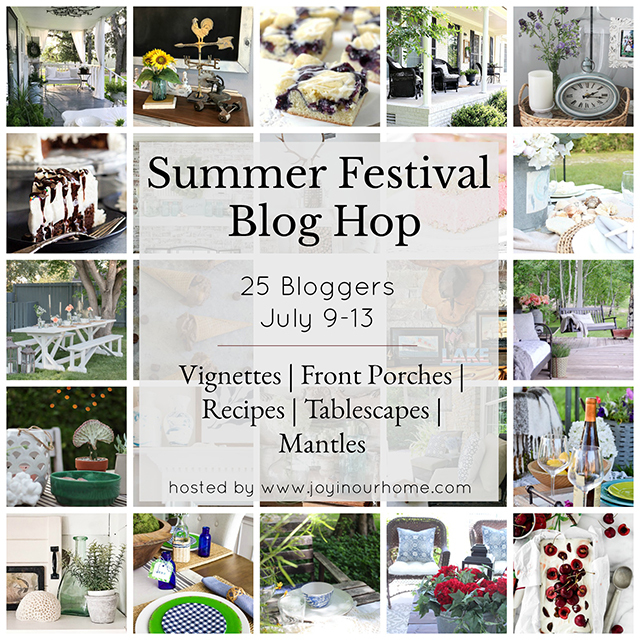 If you happen to be joining me from the Summer Blog Hop — WELCOME!!! I’m so glad you’re here and I hope that you find some fabulous inspiration. A big thank you to Kendra from Joy In Your Home for coordinating this hop too! So, over 30 year ago, we lived in the small town of Warren, Pennsylvania. My dad pastored a church there and a family we grew very close to were the Reeds. Clayton (the husband) served on the church board and my parents became very close with both Clayton and Joyce (his wife). I remember going to their house often and hanging out with their kids, Doug and Kim. This recipe is one that my mom has penned on a recipe card by Joyce. This past April my brother was asked what he wanted for his birthday cake, his reply “Summer Pie.” Of course we then reminisced about Warren, the Reed’s and how Joyce was known for this recipe. That’s one thing about food, recipes and the kitchen. Memories can originate with them and many of them are fond ones. Maybe this Summer Pie recipe will become a new family fave! It certainly won’t disappoint. Mmmm, I wish I had some sitting in my fridge right now (sigh). I do know that it never lasts long. Enjoy. Stir together flour, brown sugar, chopped nuts and melted butter. Spread in 9x13 pan and bake for 20 minutes, stirring occasionally. Allow to cool and reserve 1/3 of crust mix for topping. Dissolve package of jello in hot water. Add lemon just and sugar, then stir. Chill until slightly thickened using 2 cups of ice cubes. Once jello has slightly thickened, remove ice. Whip can of chilled evaporated milk until very thick and pour jello mixture in. Pour onto crust and sprinkle reserved crumbs on top. How about we do a little blog hopping? Each day this week, there are 4 or 5 bloggers sharing inspiration around a specific summer theme — from recipes to front porches to vignettes. I hope your inspired. « Ground Turkey Lettuce Wraps. Weight Watchers Recipe. Wow! Thanks so much for sharing, Tammy. It’s such a small world. I haven’t been to Warren in so long… but I carry the sweet memories with me. Hugs! 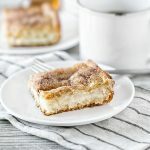 Thank you for sharing this recipe, Kelly. Joyce had so many good ones. She wa a very sweet person. I love recipes that have been given to me over the years by my dear friends. Many of them have passed away but I have started a special cookbook of all their recipes in their penmanship….they are irreplaceable. Hope everyone enjoys this…..it is YUMMO! I can’t wait to try this. It sounds and looks amazing. I think it would be easy to modify to be gluten free. Yum! 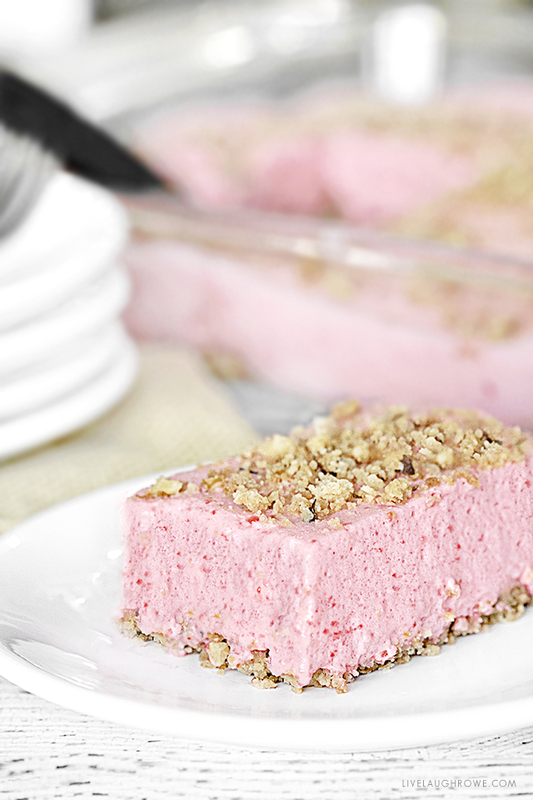 What a perfectly refreshing dessert for summer! Your Summer Pie looks delicious, my grandmother had a similar recipe that I loved! So fun being on the blog hop this week. MMMMM. If this tastes half as good as it looks, then I’ll be in heaven! Glad to be on the hop with you! 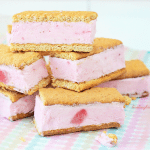 Oh my goodness Kelly – this looks delicious! We too have food and recipe memories and they are the best.BTW, your photos are amazing. 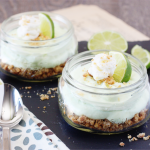 Than you for sharing this great recipe – we can’t wait to give it a try! 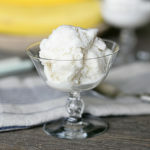 This looks so good and sounds so much better than the way my mom’s friends used to make it, with Cool Whip! Just one question — is it regular canned milk or Eagle Brand type sweetened? Big difference. 😉 Thanks!